IT was a perfect morning; there was already warmth in the early sun, the skies were clear and the wind could hardly raise a breath. As I made my way through the silent woods, pale laser beams of light slicing through the canopy, I watched a red squirrel skipping and bouncing along a wall of moss-shrouded rock. This was peace personified, nature at its breathtaking, beautiful best. 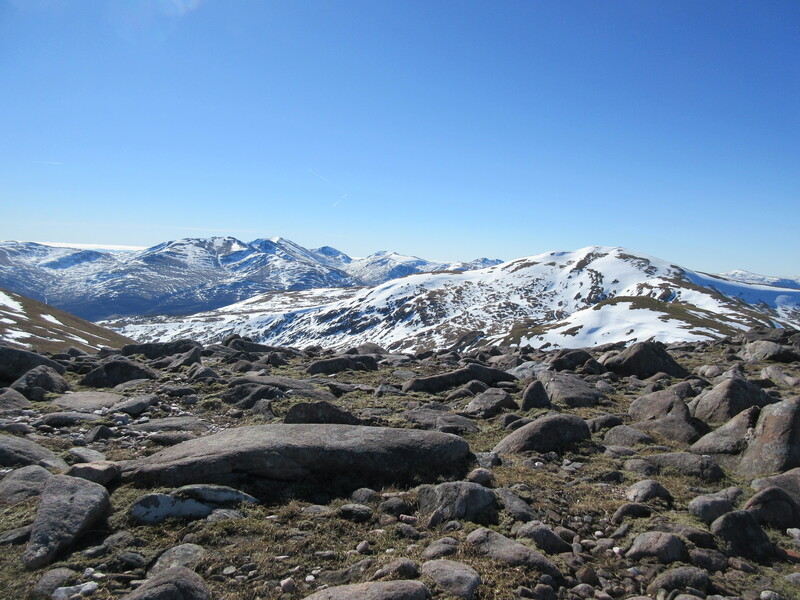 It may seem hard to believe then that I had set out that morning ready for conflict, but that’s the unfortunate side effect of years of access problems surrounding the Carn Mairg circuit of four Munros in Glen Lyon. The mountains lie on the North Chesthill estate and, for as long as I can remember, the right to roam enshrined in Scottish law has been pushed to the limits here. In fairness, I have climbed these hills four times now and not once have I had any problem. Quite the opposite, in fact. On one occasion when I was reading the notice on the huge, locked gate suggesting that I should walk elsewhere, the head stalker appeared and told me to ignore it and that it was fine to proceed. Others haven’t had such a warm welcome. Every so often this festering dispute flares up into full-scale harassment and animosity. We have the right to responsible access, but the advice when faced with a belligerent landowner who is determined to block your way is to de-escalate the situation by walking away. There is a hydro scheme currently under construction here, as there is in so many glens across the land. No problem with that, but it seemed to give rise to some even more incredulous signage in a desperate attempt to keep “intruders” out. Signs like Danger: Low-flying Helicopters and Danger: Blasting. You could be excused from thinking you were walking on to the set of Apocalypse Now rather than heading for a relaxing day in the hills. Even Colonel Kurtz would probably have gone elsewhere. So you can understand why some may feel slight trepidation when they plan a walk here. 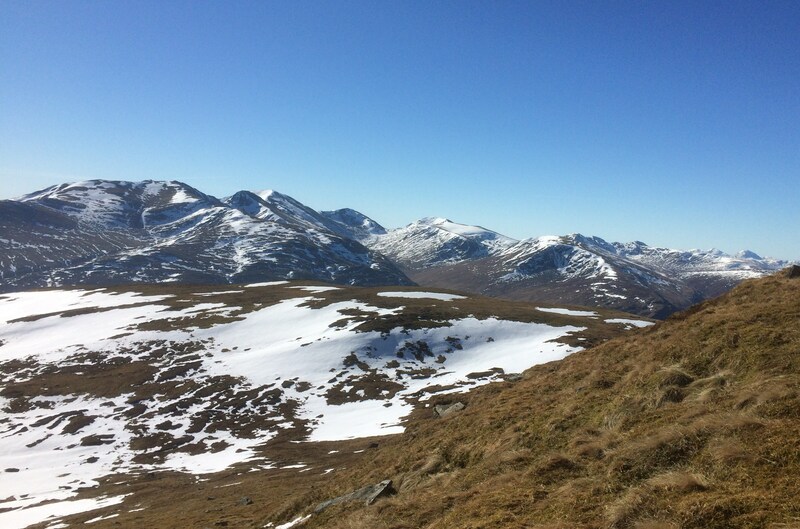 I certainly felt an edge as I headed for Glen Lyon, but I had come with alternative plans. I wasn’t in the mood for a fight - I came in peace just looking for a day out in the sunshine. It came as a relief then to find no angry mob manning the barricades but instead a series of polite diversion notices and way markers showing the altered route into the woods and up onto the hill. There was a bit of limbo action due to the number of fallen trees lying across the path, but otherwise it was all stress-free. It seems the sensible way ahead. 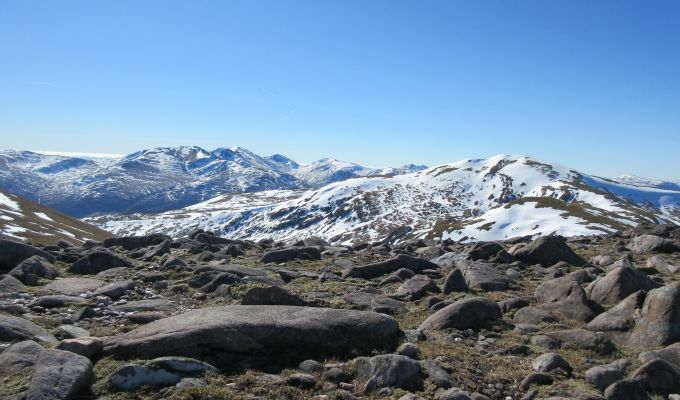 This compact circuit of four Munros - Carn Gorm, Meall Garbh, Carn Mairg and Meall nan Aighean - is a honey pot for peak baggers and the Invervar approach is the most attractive way to climb them. They provide a relatively short day - I was round the circuit and out again in six hours - which appeals to those looking for an instant boost to their Munro tally. Approaches from the north involve covering a lot of tedious and strength-sapping ground, and the west and east sides present their own problems. The walkers are not going to stop coming, so let’s hope common sense and civility can prevail and my experience becomes the norm rather than the exception.